Like I said last weekend, no Sunday soup for now. Instead, here's a review of a restaurant a little bit away from home. We were in Winchester for the Christmas market. 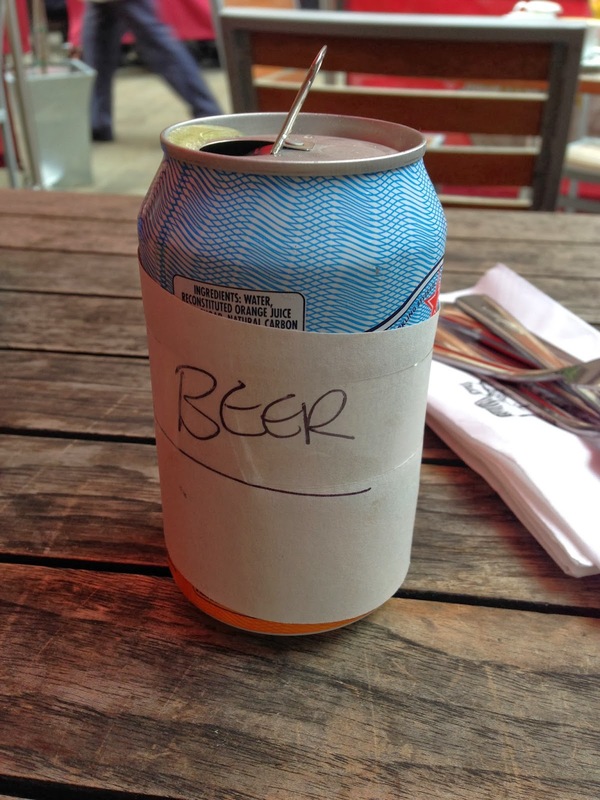 We had tried, and failed, to get into the Union Jacks as it was just too busy. We'd meandered a bit aimlessly and wondered if we should just grab a sandwich from one of the stalls, although that felt a bit of a shame when we were somewhere new and could have something new. Then we came across Gourmet Pizza Company in one of the side streets. They were really busy too but said we could sit outside if we wanted to. It was a little drizzly and cold but we were undercover and while we were in jackets, it was fine. Then on to the food. Partly to placate the child but partly because we love bread in all forms, we opted for two starters - one for D and one for us. 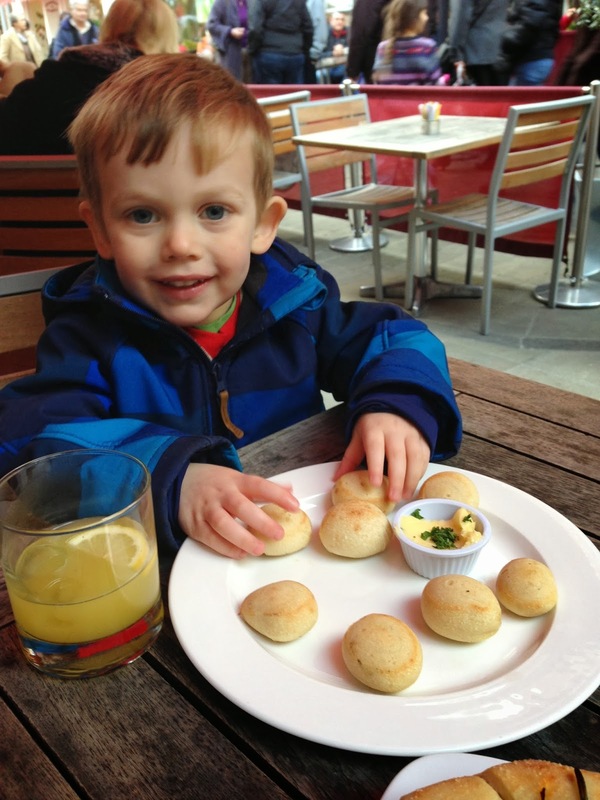 D may have had a bit of help with his dough balls but he didn't mind. Presentation was a little bit higgledy but the bread was fresh and the butter garlicky - which is just what you want from a starter really. Our starter, however, was out of this world on the scale of stale bread you'd never want to touch to the most delectable dough to ever be in your periphery. 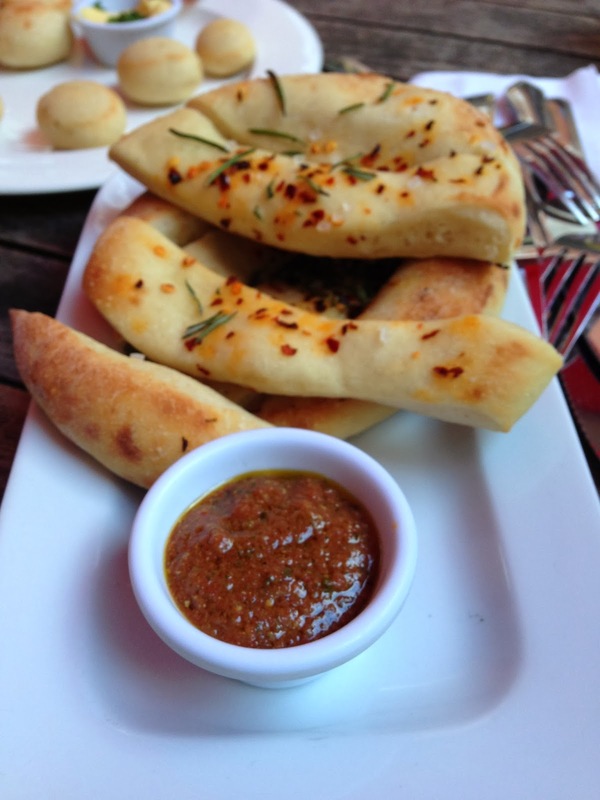 These were rosemary dough sticks, served with a chilli salt and a slightly spicy tomato dip. Definitely my favourite part of the meal and worth going back for/attempting to emulate. For my main, I opted for the Spinach, Pesto, Artichoke and Baby Mozzarella pizza but I took the olives off because olives are wrong. Well, in my world anyway. This might not have been the best pizza choice in the world. 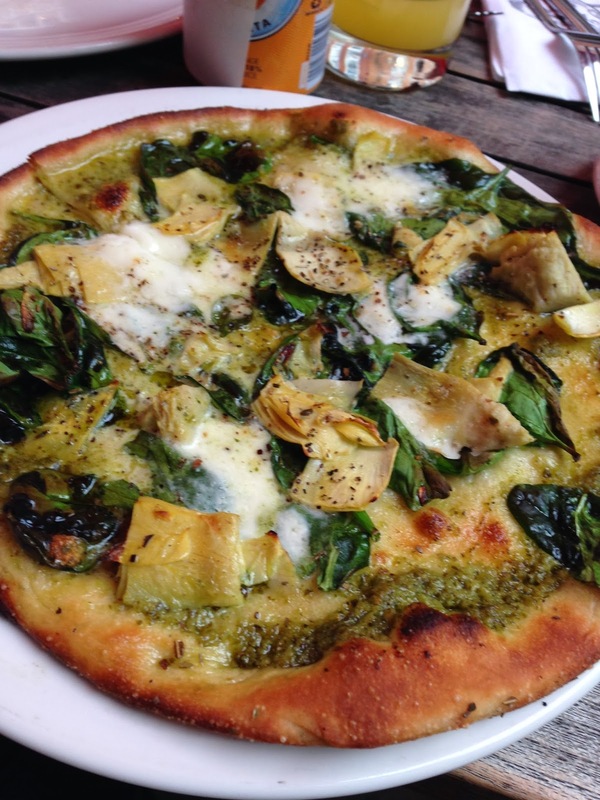 The base was excellent - authentic thin Italian, the pesto was tasty and the combination of slightly salty artichoke with fresh spinach was very tasty but all together? It was a bit much. The pesto was a touch too oily and I found it incredibly difficult to eat after about a third of it. I think next time, I'd opt for the grilled vegetables without the goats' cheese or add artichokes to the mushroom one. Mr K was very happy with his option - a special that I think featured duck and barbecue sauce but I can't be sure. After all the bread we were a little stuffed and were saving ourselves for a tot of mulled wine later in the day, so we didn't have a dessert. If we had, I'd probably have had the Apple Rustica. We had a great time at the Gourmet Pizza Company and I look forward to giving them another try in the future. Well worth it for the service alone. I should also mention for any gluten free bloggers out there that they do gluten free pizza. My ears pricked up at that even though my gluten free friend is gluten free no more.